Graduate Aptitude Test in Engineering (GATE) has been all set for the year 2020. GATE is a national level PG entrance examination for Engineering jointly held by 7 IITs (Indian Institutes of Technology) and Indian Institute of Sciences, Banglore. 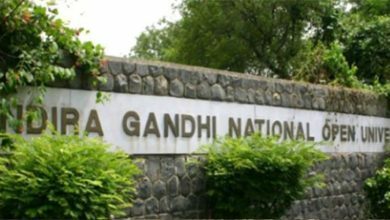 Last year, IIT Madras conducted the GATE Exam all over India and approximately 1 Million candidates appeared for the same. In the year 2020 as well, the numbers of candidates are expected to be high for the GATE exam. IITs use to conduct the GATE Exam every year to test the comprehensive knowledge of UG candidates in Science and Engineering. Whereas the GATE score is useful to get admission in PG courses like IITs, NITs, IIIT, NITIE and more. Even one can apply for PSU (Public Sector Unit) jobs by using GATE Score in the year 2020. Check out the official notification, important date, online application, papers, exam pattern, admit card, result and all details regarding GATE Exam 2020 below. According to reports, Indian Institute of Technology (IIT Delhi) will be conducting the Graduate Aptitude Test in Engineering (GATE) for the year 2020. Every year, out of the 7 IITs one use to conduct the GATE Exam all over India. Whereas 2019 GATE Exam was conducted by IIT Madras. In 2020, it has been out that IIT Delhi will hold the authority to conduct GATE exam. Before starting the online application process, the conducting body first releases the official notification. The official notification of GATE Exam includes the important dates, application filling process, subject details and much more. The year 2020 is concerned, IIT Delhi will release the official notification of GATE exam in the month of July or August 2019 only. Whereas the GOAPS (GATE Online Application Processing System) will start from the first week of September 2019. The last date of GATE application will close in the last week of September or First week of October 2019. Although the candidates will be able to change the exam centre till November mid. Further, the admit cards for GATE 2020 will be available on the page by the 1st week of January. The exam will be conducted all over India on First or Second week of February 2020. Lastly, the GATE result 2020 will be declared on the official website by the mid of March month. If you are planning to appear for Graduate Aptitude Test in Engineering 2020, then firstly one has to register themselves for the same. Once the GOAPS open for the application process in the first week of September 2019 for GATE 2020, candidates can fill the same online. After the starting of the filling up of GATE Exam form for the year 2020, candidates have to follow few steps for the same. Then the candidate has to click on the link stating- Click here for GATE 2020 Application. After the opening of the new page, one has to fill the personal details required according to the 10th certificate. Then the candidate has to upload a few documents according to the notification. After all the application process, one will be directed to the GATE application fee 2020. Even the GATE application fee will also be paid via online mode before the last date of the application process for the year 2020. Female Candidates/ SC/ ST/ PWD category has to pay an application fee of Rs. 750 and other Rs. 1500 for the GATE Exam 2020. Whereas the foreign countries student from Dhaka, Columbo, Kathmandu and Addis Ababa have to pay USD 50. And GATE 2020 candidates from Singapore and Dubai have to pay application fee of USD 100. Further, the Indian and Foreign candidates have to pay the GATE application fee between Rs. 1250 to Rs. 2000 and USD 70 to 120 in the extension period of the same for the year 2020. IIT (Indian Institute of Technology) will hold the GATE exam in 24 subjects for the year 2020. Before 2019, there were only 23 subjects under the GATE, but last year only Statistics was added to it. From 2019 only, candidates have been appearing 24 subjects in the GATE Exam. Here are the subject details and code for GATE 2020- Aerospace Engineering (AE), Agricultural Engineering (AG), Architecture & Planning (AR), Biotechnology (BT), Civil Engineering (CE), Chemical Engineering (CH), Computer Science & Information Technology (CS), Chemistry (CY), Electronic & Communication Engg (EC), Electrica Engineering (EE), Ecology & Evolution (EY), Geology & Geophysics (GG). Instrumentation Engineering (IN), Mathematics (MA), Mechanical Engineering (ME), Mining Engineering (MN), Metallurgical Engineering (MT), Petroleum Engineering (PE), Physics (PH), Production & Industrial Engineering (PI), Statistics (ST) and Textile Engineering & Fibre Science (TF). XE has been used for Engg Mathematics, Food Technology, Material Science, Fluid Mechanics, Solid Mechanics, Atmospheric & Oceanic Science, Thermodynamics and Polymer Science & Engg. Further XL code has been used for Chemistry, Microbiology, Food Technology, Zoology, Biochemistry, Botany, Chemistry. Candidates completed or in the final year of BE/ BTech/ BPharm/ BArch/ BSc (Research)/ BS/ MCA /MA / MSc. Candidates who have completed or appearing 2nd/ 3rd or 4th semester of Int ME/ MTech after B.Sc. Completed or in 4th or 5th semester of Int ME/ MTech or dual degree after 10+2 or diploma. Final year or completed Int MSc/ Int BS-MS. Completed section A or equivalent of such a course in Profession Society exam equivalent to BE/ BArch/ BTech. Whereas further candidates may check detailed eligibility criteria on the official website in respect to their applied subjects for the GATE Exam to be held in 2020. Firstly, one has to open the official website and click on the link stating- Download GATE 2020 Admit card here. Then one has to fill the desired details and click on the submit button. After clicking the submit button, candidates will be able to see their respective GATE hall ticket. Then one has to click on the download button and print their respective admit cards. It has also been requested to the candidates to download the hall ticket from the official website prior to the test date, as to skip the last minute rush for the same during the GATE Exam. In case of any misprint or incorrect information on the admit card, candidates must write to the authority without any delay. Statistics: The question paper will consist of questions from Inference, Calculus, Probability, Linear algebra, the design of experiments, regression analysis, multivariate analysis, stochastic processes. Chemical Engg: It will include Engineering mathematics, Mechanical operations, Fluid Mechanics, Process calculations and thermodynamics. Instrumentation Engg: It will have questions from Engineering mathematics, electrical circuits, control system, signals and systems etc. Civil Engg: Structural Engg, geotechnical engg, engg mathematics and so on. Mathematics: This paper will have questions from chapters like- Complex analysis, real analysis, linear algebra, algebra, numerical analysis and much more. Petroleum Engg: The question of this subject will have questions regarding Linear algebra, oil & gas well testing, petroleum formation evaluation etc. Architecture & Planning: Building materials, building & structure, architecture & design, environmental planning & design, construction & management etc. Electronics & Comm Engg: The paper of this subject will consist of questions from Networks, electronic devices, digital circuits, analog circuits, engineering mathematics & so on. Make sure you go through the GATE exam syllabus thoroughly before applying for the same. Do visit the official website and click on the link stating GATE exam Syllabus and select your subject to have a look on to the respective syllabus of the subject for yourself. Firstly go through the syllabus of your selected subject thoroughly because this will make you clear about what you need to prepare. Then make your basic concepts clear regarding the chapters mentioned on the GATE syllabus. Prepare your study plan accordingly and do stick to that till your test. As it will ease your GATE Exam preparation to some extent. During your study, make notes for each chapter you are going through. This will be helpful during your revision time. Also, you should practice the questions and not just depend on one type of it. Last but not least, have proper rest and breaks, so to avoid uneasiness and anxiety. This will make you refresh time to time. Also, go for various mock tests before you sit for the final GATE exam. As this will give you a clear idea about where you are lacking behind in your preparation. Even follow some previous question paper and myntra of GATE toppers to succeed in the exam. One can also follow a few related book mentioned by the toppers and experts of the GATE exam. Also, the candidate of the GATE must know the exam and question paper pattern before the exam. The GATE Exam 2020 will have 2 types of questions, one will be MCQs (Multiple Choice Questions) and another one will be of NAT (Numeric Answer Type). Candidates have to go through CBT (Computer Based Test) for the year 2020. The GATE question paper will carry a total of 65 questions, out of which 55 will be the opted subject and rest 10 will be of General Aptitude. The papers having codes AE, AG, BT, CE, CH, CS, EC, EE, IN, ME, MN, MT, PE, PI, TF and XE, the Engineering Mathematics will have around 15% of the totals marks, General Aptitude will have 15% of the total marks and the rest of 70% will be from the opted subject by the candidate. Further rest of subjects like AR, CY, EY, GG, MA, PH, ST and XL, the General Aptitude will have 15% of the total marks and the remaining 85% will be of the subject of the paper opted by the candidates. Last year the GATE exam was conducted in over 200 Indian cities and 6 foreign countries. Graduate Aptitude Test in Engineering almost has exam centres in all the major cities of India. As far as Abroad is concerned, GATE has its centres in Singapore, Dubai, Sri Lanka, Andaman & Nicobar, Ethiopia and more. In the duration of filling up of the GATE Exam, candidates will have to fill up 3 preferences of the exam centre of his her choice. Then accordingly, the conducting body offers you with your prefered exam centre. Although after the scrutiny of the application form, conducting body try to allot the first preference of the exam centre to the candidates. If not then they move on to the second or third preference of the candidates for the GATE Exam centre. The candidates can check out their exam centre on their respective GATE exam admit cards. Even candidates can request to change their exam centre in the given period of time on the official website of the GATE. To do so, candidates have to visit the official website and check out the official notification regarding the dates for the change in the exam centre. If it’s open, then one can click on the link and request to change the exam centre for the GATE Exam. Before leaving for the GATE exam, make sure you carry your admit card and photo ID proof along with you to the exam centre. If one forget any of these, one will not be allowed to appear for the GATE exam. Also, reach to your respective exam centre at least 15 minutes prior to the exam timing. Candidates can check the details regarding the exam timing and more on their admit cards only. The GATE Exam will be held in 2 different shifts, one will be morning and another one will be an afternoon shift. Here’s How GATE Score Are Calculated? According to reports, the type of exam i.e MCQ based, it will have questions of 1 or 2 marks. For each correct answer, the student will be alloted 1 or 2 marks. Also, there has been negative marking as well. For an incorrect answer of 1 marks question, the candidate will be deducted by 1/3 marks. Whereas for each incorrect answer, there will be a deduction of 2/3 marks. Further for the second type of exam i.e NAT, it will have questions of 1 or 2 marks. Candidates will be alloted 1 or 2 marks for each correct answer of the question. But there will be no negative marking in this type of question of the GATE Exam. Although the above-mentioned marking scheme is a generalised one for the GATE Exam. There have been subjects like GG, XL, XE, whose marking scheme is lil bit different from the above-mentioned GATE marking scheme. Candidates must check out the same on the official notification before their preparation. Firstly candidates have to open the official website of GATE of the year. Then they have to click on the link stating- Click here to view your GATE Result 2020. After the same, one has to enter the registration number or DOB or any other required details. After filling up the required details, candidates have to click on the submit button and then one can see their respective GATE result on screen. Once the candidates have checked their respective GATE result, they must download it and take a print out of the same for future reference. Although the calculation of GATE score will be done on the basis of standardised formula and the result will be declared after the final calculation of the score only. Candidates can only be able to check the accurate exam result of GATE on its official website. As far as the cut-off is concerned for the GATE 2020, there will not be any change. Here are some cut-off details- Petroleum Engg (General- 39.8, SC/ST- 26.5 and OBC- 35.8), Electronics & Comm (General- 25, SC/ST- 16.6 and OBC- 22.5), Computer Sc (General- 25, SC/ST- 16.50 and OBC- 22.50), Civil Engg (General- 26.90, SC/ST- 17.9 and OBC- 24.20), Mechanical Engg (General- 34.7, SC/ST- 23.1 and OBC- 31.2), Chemical Engg (General- 37.8, SC/ST- 25.1 and OBC- 34). For further details regarding the GATE cut-off 2020, candidates are requested to check out the official website. After the declaration of the GATE result, IIT will hold the counseling process for the selected candidates. Selected candidates will have to opt for IITs of his/ her choice as per the GATE score. Although there will be no centralized counseling for the admission purpose. IITs/ NIT will hold their respective counseling for the admission of the qualified candidates. Whereas in the admission of M.Tech/ M.Arch/ M.Plan programmes, NITs and the various institutions will hold the centralised counselling from the first week of April 2020. During the counselling process, selected candidates will have to make choice of colleges and course according to their preferences. Although the seats will be allocated to the students for admission in the vairous institution as per the rank, their choice, category and availability of seats. Along with the admissions, GATE score can also help candidates to get direct jobs. As along with admission purpose, some of the PSU (Private Sector Undertakings) also recruit candidates with GATE score under various posts. Here are some of the PSUs list, whose recruitment has been done on the basis of GATE score- GAIL, BAARC, BHEL, CEL, Coal India, ECIL, DRDO, BSNL, Cabinet Secretariat, BBNL, BNPM, BEML, DMRC, HAL, HPCL, IOCL, EdCIL India, Haryana Power Utilities, GSECL and many more. So GATE exam is not just getting admission but also for grabbing great posts under any of the PSUs. Also before filling the application form for GATE 2020, candidates have to make sure that they fulfil the eligibility criteria. As the candidates who failed to do so, he/ she may not receive his/ her admit card for GATE exam. Even before starting with the application filing process make sure you read the instruction carefully on the official notification/ website. No candidates will be allowed to enter the GATE exam centre after the commencement of exam in any case. So be on time and avoid the situation. Also, no candidates will be allowed to enter the GATE exam hall with any kind of electronic gadgets (mobile, Bluetooth, pen drive, calculator), paper, water bottles and much more. If in case, the student gets caught with any unfair means, his/ her candidature for the GATE 2020 will be canceled on the spot. Hope this article has been helpful for you if you are looking forward to appearing for Graduate Aptitude Test in Engineering (GATE). Pull up your socks and prepare hard for your GATE Exam, we wish you all the luck and a great future ahead.